If I could go back in time and be given the opportunity to work with or talk with anyone I wanted, the following list is who I would choose. I started thinking about this recently because I was reading an article about George S. Patton and, by all accounts from research, he believed in reincarnation. Specifically, he believed he was a member of Armies that participated in major battles through Europe’s history. I thought, if I could go back, where would I want to be and who would I want to talk to during my stay. It would give me a chance to feel some of that confidence and aura that made them great or controversial. 1. 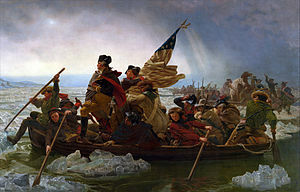 General George Washington at the Battle of Trenton on December 26, 1776. 2. Thomas Jefferson writing the Declaration of Independence from June 11-June 28, 1776. 3. Charlie Chaplin working on films in early 20th Century Hollywood. This would be great just to work around a genius at the start of the industry. I would probably be asking for a part in all of his films. 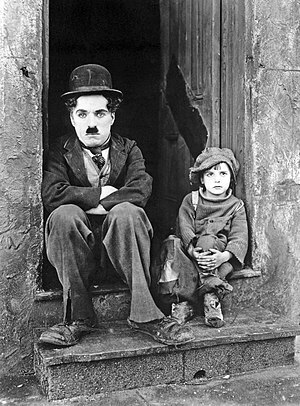 “Hey Charlie, do you have a part for me in ‘Gold Rush’ or ‘City Lights’ or the ‘The Kid’. Either way, I would just hang out and watch how he worked his magic. 4. Bill Gates and Steve Jobs at Silicon Valley in the 1980s. This would have been great to hang out in the conference rooms of both sides just to see what they would have been saying about each other. Sitting in on all the business decisions and negotiations that helped build both companies would have been enlightening. I would have been at the ground floor and bought all those company shares before the IPO and watched them grow. This is starting to get a little sad, I’ll stop writing now. 5. Mark Twain while touring Europe and writing Innocents Abroad in 1867. Touring Europe and the Middle East with Mark Twain would have been a hoot. Hanging out at the local café or pub with him cracking wise on American tourists or the local scene seems like a great way to pass the time. 6. President Teddy Roosevelt during his African Safari in 1909. An African Safari with President Teddy Roosevelt! All he would have to say is “Do you want to come along.” “Yes!!! !” I would be waiting at the docks to board the ship going to Africa. He undertook the trip so he could bring back specimens for the National Museum and the American Museum of Natural History. 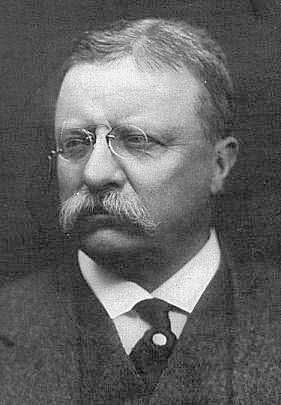 He also became a lifetime member of the National Rifle Association in 1907 when he was President. I could just see myself standing beside Roosevelt while a Rhino charges waiting patiently for him to shoot before I would. I’m pretty sure I would have been faster than President Roosevelt if things got out of hand-I think. 7. Captain Meriwether Lewis and William Clark during the Corps of Discovery expedition west to map out the newly purchased US Territory from France past the Mississippi River in 1804-1806. This would have an adventure worth taking. I would have traveled with the expedition and would have seen new rivers and forests on my way to the Pacific Ocean. I probably would have suggested a route a little more South. 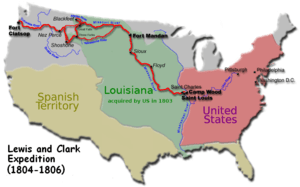 Lewis and Clark would have said, “No back seat driving.” Let’s face it, we take driving west for granted today because we have nice four lane highway and rest stop and hotels. These two and their expedition didn’t even have a dirt road or trail. 8. Abraham Lincoln for the whole four years in the White House sitting in the oval office so I could hear some of his stories. Lincoln was great story-teller. I would have been content just to hang around and be his sounding board while he was trying to end the Civil War. If he threw in a humorous story now and then, I would have been content. One thing is for sure, I would have tried to attend the play with him and his wife, Mary, at Ford’s Theatre on April 14th. I would have also heard the door open behind us. Honorable Mentions: President Ronald Reagan at the Berlin Wall, President John F. Kennedy during the Cuban Missile Crisis, Harry S. Truman when he found out the United States had the Atomic Bomb. Andrew Carnegie during the industrial revolution, John Ford creating the automobile and the assembly line, Vince Lombardi during his Green Bay Packer coaching years, and Babe Ruth during his whole career. I would have loved to be watching Kruschev when Reagan talked about the Starwars Project. I also would like to have been riding on the first trip to the moon. The trip to the moon is a good one. There probably wasn’t a enough room in the lunar lander for another person. It would have been interesting to be on the moon waiting for Armstrong and Aldrin to say “Welcome guys.” Kruschev was not in power and may not have been living when Reagan talked about the Star Wars project though.